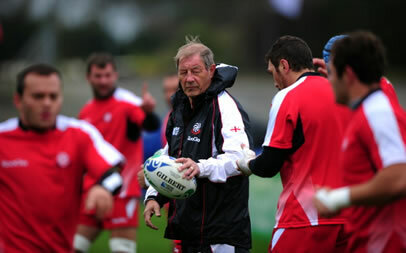 Georgia Rugby coach Richie Dixon has urged his side to channel their frustration and give England a Rugby World Cup contest to remember on Sunday. Georgia are renowned for their scrum but didn’t gain the setpiece advantage many expected in a 15-6 defeat by Scotland in their Pool B opener in Invercargill on Wednesday. Former Scotland coach Dixon has responded by reinforcing Georgia’s front-row with tighthead prop David Kubriashvili, who has been keeping Carl Hayman out of the Toulon team. He comes into the starting line-up along with experienced lock Ilia Zedginidze. “These guys are up for this game because they are so disappointed with themselves. I can tell you they are so disappointed with their display against Scotland,” said Dixon. “I think the frustrating thing for the players and myself is we had what I call ‘first game syndrome’ and froze a little. There is more in this team than we showed (against Scotland). 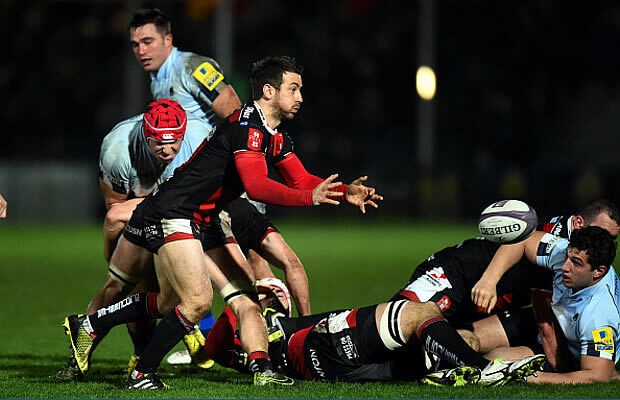 “Our scrummaging was not as solid as it usually is…and we hardly ever got into any attacking phase at all. “The one thing that was obviously to our credit was our defence, which was very, very good. It had to be. And full-back Revaz Gigauri said: “We want to show the world we are worthy of being here”. Four years ago in France, Georgia nearly caused one of the great World Cup upsets before losing 14-10 to Ireland. That defeat showed the progress Georgian rugby had made in a relatively short space of time, considering that at the 2003 World Cup in Australia, they were thrashed 84-6 by eventual champions England. That match was Georgia’s only previous Test against England and Dixon expects a much improved showing under the permanent roof of the Otago Stadium. “If one of the big teams have one those of days where everything goes well for them, it’s very hard to live with that,” Dixon said. While ‘big’ rugby nations such as England, who beat Argentina 13-9 in their Pool opener, have the luxury of a week between matches, teams like Georgia, who don’t have anything like the same depth of talent or support staff, face the challenge of a four-day turnaround. “It’s something we would certainly need to flag up,” Dixon said. “People are starting to understand the gap (between established and emerging nations) is not as big as they thought.